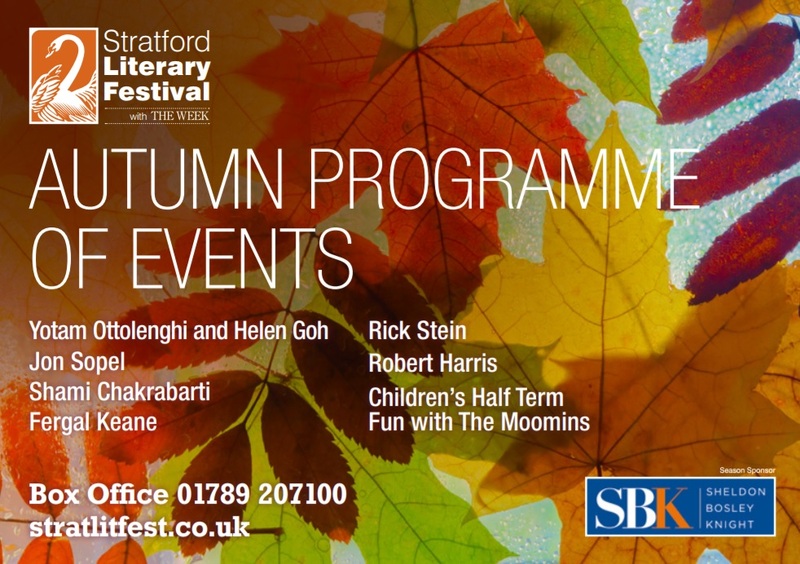 The 2017 Stratford-upon-Avon Autumn Literary Festival is almost here and SBK are proud to once again sponsor the programme. Our events this season feature a great line-up of personalities, starting this Friday 22nd September with Yotam Ottolenghi and Helen Goh, followed by Jon Sopel, Shami Chakrabarti, Fergal Keane and Rick Stein over the coming weeks, providing some wide-ranging and fascinating conversations to look forward to. The full event programme can be viewed at www.stratfordliteraryfestival.co.uk. This year SBK are doing something a little different. We are holding a competition to win a prize of £100 of Waterstones vouchers. To enter, all you need to do is fill in this short form online and you’ll automatically be put forward for the prize draw. Terms and conditions are noted below. We hope you enjoy the Festival events and we look forward to seeing you there. You must be resident in mainland UK to enter our free prize draw. Employees of Sheldon Bosley Knight and their families are not eligible to enter. No responsibility can be accepted for entries that are lost, or damaged. The closing date is 17th November 2017. The first valid entry drawn will be the winner. The winner will be formally notified by email no more than 14 days after the closing date. Full details of the prize will be given in writing upon request. Where we notify a winner by email, we will ask for confirmation of receipt by reply email. Sheldon Bosley Knight’s decision is final and no correspondence will be entered into. The prize winner will be randomly drawn from all the valid entries, and contacted by Sheldon Bosley Knight. Only the winner will be contacted personally. No cash alternative or alternative prize is available on entrants’ request. 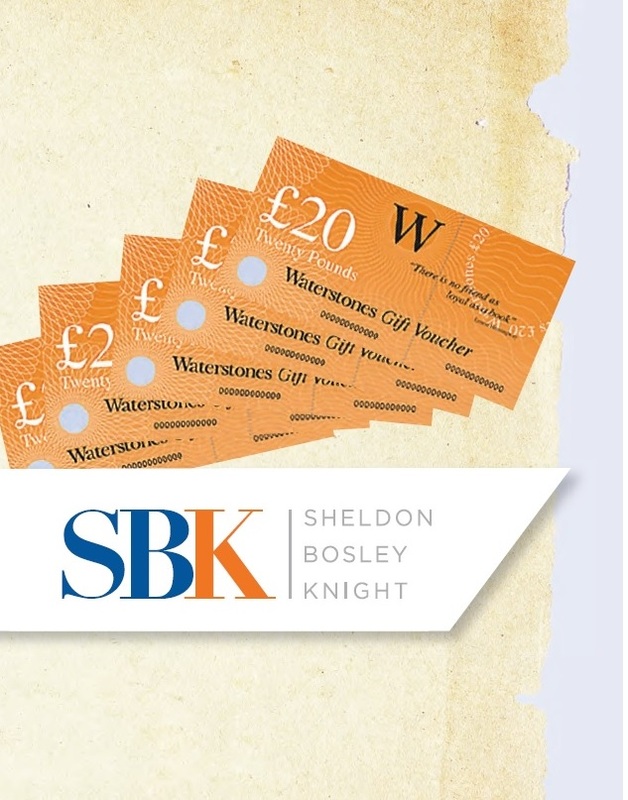 Sheldon Bosley Knight will not be liable for any damage, loss or disappointment suffered by any person taking part or not being able to take part in this prize draw. Use of false name or address, e.g. a name by which the entrant is not usually known, will disqualify them from receiving any prize. Sheldon Bosley Knight reserves the right to oblige any potential winner to provide documentary proof of their identity and address as directed by Sheldon Bosley Knight before such person may claim their prize. We reserve the right to amend these rules at any time. Entry in this free prize draw implies acceptance of these rules. Sheldon Bosley Knight is compliant with the data protection act. Our policy is such that we will not pass on your details to any third party without your prior consent and your details will only be used for our own marketing purposes.